Parle is taking one step at a time as it moves ahead in the pulse biz. Carpet bombing will not work. The company goes slow with Fresh Harvest dal rollout. IMAGE: Says Mayank Shah, category head, Parle Products: "Commodities market is a challenging space to be in. Consumers still do not differentiate between branded products and loose products." Photograph: Shailesh Andrade/Reuters. By its very nature, commodities are difficult to brand. There is little product differentiation, it is difficult for players entering the market to charge a price premium that a strong brand would like to command. Added to that, if the category in question is overcrowded, with national, local and shop brands jostling for consumer attention, a new entrant has its task cut out. That explains why Parle Products, which entered pulses market in May this year, with the launch of Fresh Harvest in Maharashtra, is planning to take one step at a time. “Commodities market is a challenging space to be in. Consumers still do not differentiate between branded products and loose products. 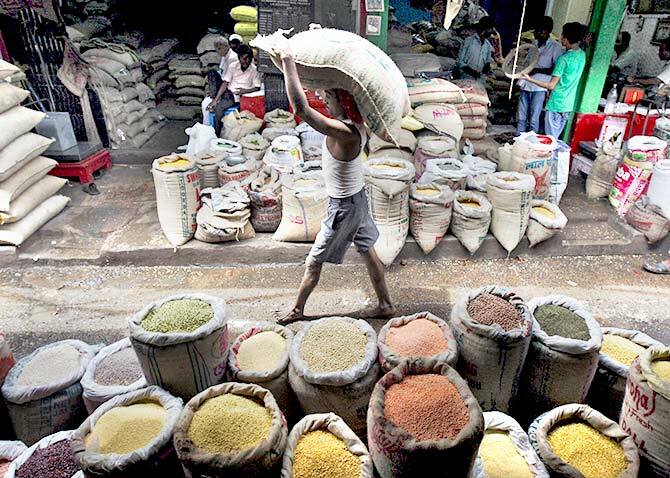 By and large, consumers are not inclined to buying packed pulses. And this calls for a change in mindset. One has to create awareness regarding benefits that come with buying branded pulses,” says Mayank Shah, category head, Parle Products. While influencing and changing buyers’ attitude towards packed pulses is a long-drawn-out effort, Parle has ventured into the commodities market since the unorganised market offers huge growth opportunity for branded products. 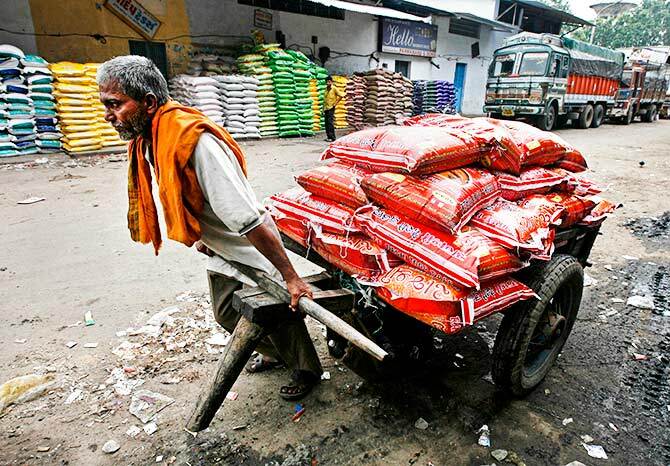 IMAGE: "By and large, consumers are not inclined to buying packed pulses. And this calls for a change in mindset. One has to create awareness regarding benefits that come with buying branded pulses, " says Mayank Shah, Parle Products. Photograph: Amit Dave/Reuters. With a market value estimated at 27 million tonnes per annum, India is the largest producer and consumer of pulses. According to various studies, India’s projected demand for pulses is likely to grow up to 35 million tonnes by 2020. Though the demand is huge, 99 per cent of the market is unorganised. It is this unorganised market that Parle is targeting, as it expects the pulses category to contribute about seven to eight per cent of its turnover in the next few years. In 2016-17, Parle’s turnover was around Rs 10,000 crores. Further, the company is investing 20 per cent of its new product budget in the category. 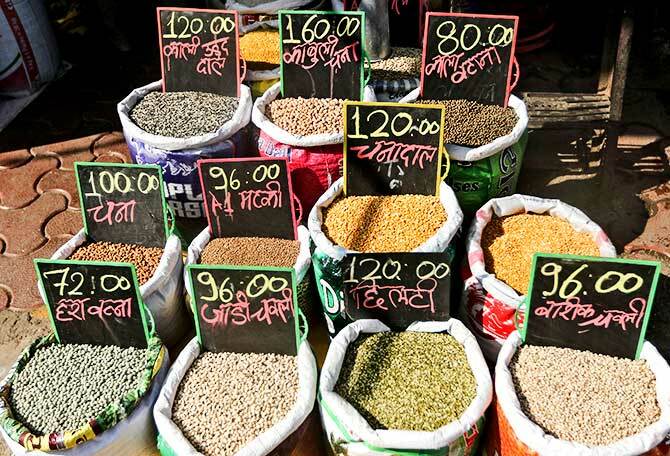 Targeting SEC A and B1 consumers, the Fresh Harvest collection, comprising toor, moong, urad, channa and masoor dal, is being sold through key retail outlets, self-service outlets and local retail chains across 500,000-plus towns in Maharashtra. The company is following a similar rollout strategy in Karnataka. Parle went to Maharashtra and Karnataka first because of their huge processing capacity and consumption potential. It is also working to address retailer concerns by promising to safeguard their margins. While picking new markets to enter, Parle takes into consideration multiple parameters. For example, Maharashtra and Karnataka have been chosen for launching Fresh Harvest products owing to their huge consumption potential for pulses and availability of processing capacity. 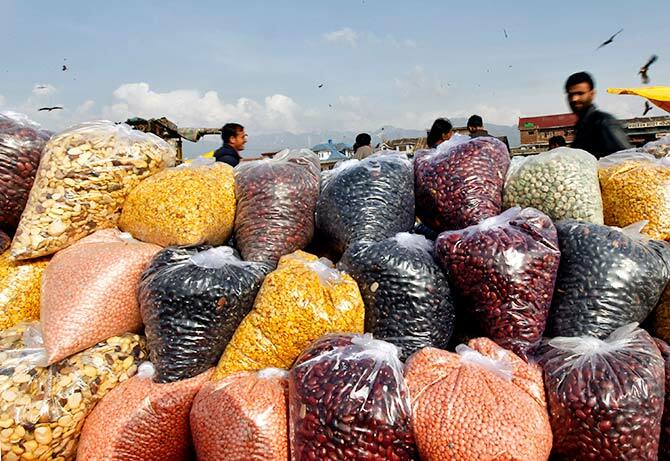 Shah points out that these are two markets where pulses are grown and sold the most. Priority markets for Parle are those which have a significant pulses consumer base and display more openness to buying packaged commodities over loose ones. Parle’s rollout plan for Fresh Harvest will be firmed up on the basis of what (pulses, in this case) sells where. Because, consumption of pulses varies from market to market and each independently determines the sourcing strategy of the company. For example, north India commands a sizeable consumption of chana dal, however, in states like Uttar Pradesh and Bihar masoor dal is the most preferred of pulses. For Parle, there have been significant learnings with the launch of Fresh Harvest in Maharashtra and Karnataka. For one, the company has come around to accept that it will take branded players a lot of time and significant investment to raise consumer awareness around benefits from packaged commodities. For long, consumers have been comfortable buying loose commodity. IMAGE: An equally large challenge is to change the perception of retailers. They are doubtful that once they start selling branded products, the market for loose commodity will disappear, thereby eroding their hold over the pulses segment. Photograph: Fayaz Kabli/Reuters. Inspiring them to recognise the benefits of opting for a packaged, quality product over a possibly sub-nutritious and adulterated loose product by paying a premium is going to be a tough task. An equally challenging task is addressing retailer concerns and working around their resistance to packaged pulses. Retailers have two major concerns. First, getting better margin, and second, navigating varying prices in a highly volatile commodities market. “Retailers are doubtful that once they start selling branded products, the market for loose commodity will disappear, thereby eroding their hold over the pulses segment. Also, retailers are asking why they should increase competition by allowing branded players to come in and helping the latter to set up a consumer base. And in future giving organised players the power to dictate margins,” explains Shah. IMAGE: Inspiring consumers to recognise the benefits of opting for a packaged, quality product over a possibly sub-nutritious and adulterated loose product by paying a premium is a tough task. Photograph: Rupak De Chowdhuri/Reuters. Parle is working to address retailer concerns by promising to safeguard their margins. It is also outlining the benefits of pushing packaged commodity by highlighting tighter supply control that retailers can exercise with easy to handle and a limited number of packaged pulses. Additionally, store owners can save on storage space and accompanying costs as they deal in packaged commodities.